One summer, I listened to a single Mogwai song, “Auto Rock,” on repeat—almost every day, a couple times a day. It was finals week—just on the cusp of school finishing, and it was one of the only things that could calm me down while working on my thesis paper. I remember lying on a mattress in a spare bedroom after a roommate had moved out, my white, stained laptop and its glow illuminating my face while “Auto Rock” became progressively louder and more intense. I felt comfort as the track moved from quiet into overwhelming, even as I felt overwhelmed at the time. It was a satisfying loop, one that helped me work and stay focused. And as soon as I turned that paper in, I never listened to that song or Mogwai again—not for years. KIN is a pretty straightforward album in that sense. Some tracks, like “We’re Not Done,” are easy-listening, feel-good anthems that are at best inoffensive. All the ingredients of good Mogwai are here—airy guitar, distant vocals, positive vibes—but in total it just feels merely competent. It’s good, but I can think of several Blood Orange songs I’d personally go to first, and plenty of other Mogwai songs too. “Donuts” is a good example of a song I actually come to Mogwai for: a dreamy buildup of percussion and synths that are completely unobtrusive, lulling your brain into a trance. I’d never really thought of Mogwai as trance, and maybe that’s because their percussion and guitar are always more present than the expectations of what makes something “trance” music, On the other hand, that’s exactly what’s happening here. It’s music for the womb, still carrying the sense of comfort that “Auto Rock” brought me so many years back. 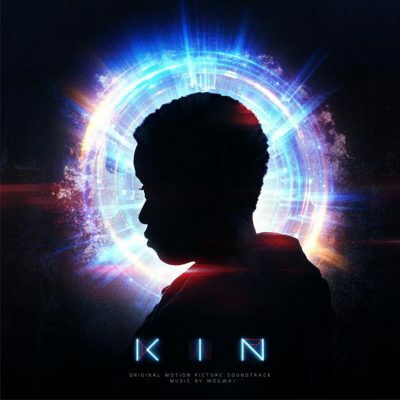 In other words, if you like Mogwai, you’ll probably get something from first hearing KIN and then seeing KIN when it releases with the album on Aug. 31. Having heard the album a lot now, I may actually go see the movie just to see how it all matches up, and I really doubt I would have otherwise.